YWAM San Francisco has been a light to the Tenderloin at 357 Ellis Street since 1995. We have served our neighbors through many expressions of ministry, including a food pantry, life skills training, neighborhood discipleship, recovery programs, street evangelism, block parties, street cleaning, and more. Through these doors, people of all walks of life are being equipped, empowered, and engaged. We host service teams, train young people for missions, and build community in the neighborhood. In 2014, God called us to walk forward in faith and purchase our buildings in the face of a speculating developer. It seemed impossible, but God was faithful. In 60 days we raised a miraculous $1.8 million toward the total cost of $4 million and have secured a long-term loan. 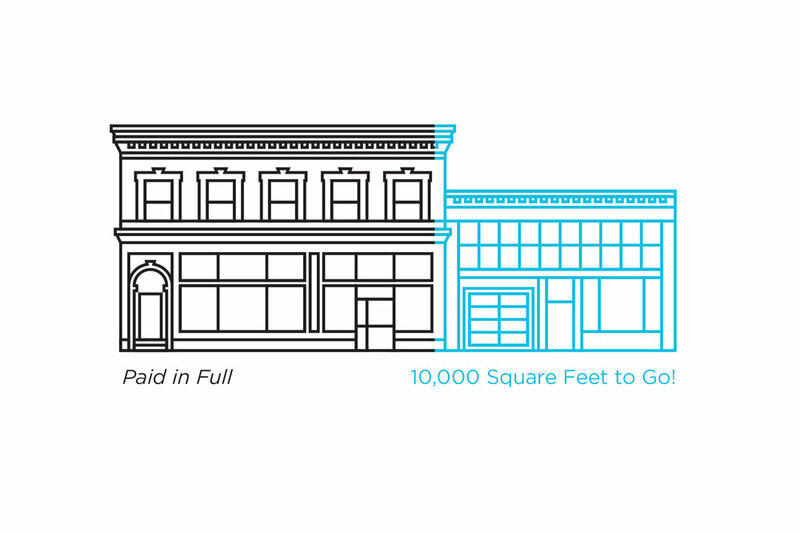 We now own our property in the Tenderloin. In the last 4 years, we have been able to pay off $2.5 million of our loan, because of generous donors we currently owe only $1.5 million. God continues writing this incredible story by working through people like you to provide the resources to pay our property in full. Invest in a square foot! $150 pays off one square foot of ministry space.